Wedding Photography in Dorset, Somerset, Wiltshire, Hampshire and other counties in the south of England, plus London, and South Wales. If you are looking for a wedding photographer in any county accessible / near the M4 motorway corridor then consider Wessex Weddings Photography. Wessex Wedding Photography, was set up by award- winning photographer Paul Quayle. Unlike most old-school wedding photographers Wessex Weddings Photography also gives you a disk of the high resolution images.This means that if you want to you can print your own wedding photos at a sensible price and send copies to friends for them to print as well. 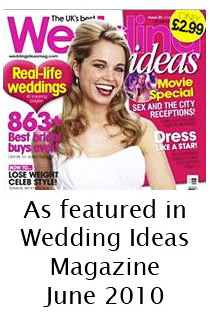 Click here for the Wedding Ideas article. I capture both the details and the atmosphere of your big day. I also take formal group shots but try to keep these to a minimum and go through them as effeciently as possible. However, if you want a wedding photographer that only takes a lot of formal group shots I suggest you search elsewhere. My background is photo-journalism and Wessex Weddings specialise in contemporary reportage wedding photography that captures the moments of your day 'telling the story' of your wedding day in a fun, relaxed and informal manner. PRICES FROM £585 FOR 5 HOURS OF PROFESSIONAL PHOTOGRAPHY. See prices page for more details. The gallery pages show the best images taken over several years, but if you are a bridal couple and want to know what a full-day photo coverage looks like and how the images are presented please contact me for access to the clients area sections as this zone is password protected. I have photographed at many of the wedding venues in the south-west of England so again contact me with your chosen venue and I'll give you access to view the images I have taken there, or view my blog page for images taken at many of the wedding venues in the South West and beyond. So if you've booked, say, Athelhampton House and are intrigued to see photos of a wedding at this Dorset venue don't hesitate in contacting me. 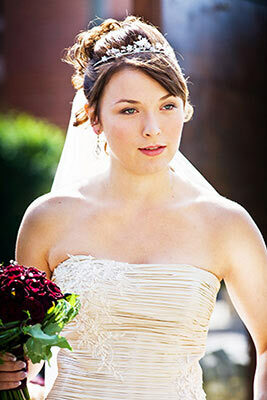 Ultimately which wedding photographer to use comes down to personal choice and who you feel comfortable with. Wessex Weddings will endeavour to provide you with the photos that YOU want. I always like to meet couples first if possible, and can travel to meet prospective clients.I'm located just off the A303 near Wincanton and I'm very close to a number of wedding venues in Somerset like Holbrook House, Yarlington House, and Chaffeymoor Grange. Wessex Weddings has tried to bring a fresh approach; in that we charge a basic fee, that is time-based, for attending a wedding and there are no additional must-have add-ons. After editing and preparing your images they are uploaded to your own online password-protected gallery for friends and relatives to view. I will also send you, unlike most photographers who require that all prints etc. are bought from them, all the edited images (cropped and adjusted for exposure etc) on CD at high resolution so that you can use them as you wish. That's correct, we provide free disks of high resolution jpegs of your wedding photos for you to use as you wish (except sell commercially). Please see our prices for wedding photography for further options. I find that many people these days are perfectly competent at putting together their own album or DVD if they want. Prints, extra photoshop work, canvas prints, albums etc. are all priced separately and available if you want. However, there is absolutely no hard sell or requirement to buy anything further from Wessex Weddings. Contact us for Dorset/Somerset/Wiltshire Wedding Photography should you wish to discuss your wedding photography. By working from my home in Somerset (and not running an expensive city shop/studio!) I offer value -for-money wedding photography to the nearby areas of Blandford, Sturminster Newton, Shaftesbury, Gillingham, Sherborne, Yeovil, Stalbridge, Wareham, Wincanton, Bournemouth and Poole. Wessex Weddings have reduced our costs not our quality. All Wessex Wedding photographers hold full public liability insurance in line with best professional practice. Our passion is not just to "take the pictures" but to capture your wedding story. Wessex Weddings is one of the few wedding photography companies that, if you so wish, can provide two professional wedding photographers. There are some "photographers" that are husband and wife teams, but invariably one is more of an assistant rather than both being full-time working professionals. Wessex Weddings provides the best value wedding photography in the region. But don't just take our word for it; if you wish to speak to some of our clients let us know and I'll try and put you in touch with them. See more testimonials. Nearby wedding venues in Dorset and Somerset area, many of these have been photographed by Wessex Weddings, include: Athelhampton House, Avonmouth Hotel, Bennetts Water Gardens, Birkin House, Bishops Court, Bournemouth Register Office, Bridge House, Chantmarle Manor, Chaffeymoor Grange,Chettle House, Culeaze House, Custom House, Dillington House,Edmondsham House, Eype's Mouth Country Hotel, Gresham Court Hotel, Highcliffe Castle, Holbrook House, Holton Lee, Hotel Miramar, Kingston Country Courtyard, Kingston Lacy House, Kingston Maurward House, Langtry Manor, Larmer Tree, Lulworth Castle and Park, Mansion House, Mapperton House Gardens, Marsham Court Hotel, Milton Abbey, Minterne House, Moonfleet Manor, Mortons House Hotel, Parley Manor, Plumber Manor, Portland Castle, Orchardleigh, Priory Hotel, Riverside Sopley Mill, Royal Bath, Royal Chase Hotel, Salterns Hotel, Sherborne Castle, Springhead Mill and Lakeside Gardens, St Leonards Hotel, Stockbridge Farm Barn, Studland Beach, Summer Lodge Hotel, The Bridge House Hotel, The Chine, The Coppleridge Inn, The Crown Hotel, The Grand Hotel, The Grange Hotel, The Guildhall, The Haven, The Hotel Rembrandt, The Kings Arms Hotel, Kingswood Hotel, The Langton Arms, Lulworth Castle, The Manor Hotel, The Norfolk Royale Hotel, Orchard Leigh, The Purbeck House Hotel, The Sandbanks, The Wessex Royale Hotel, Tudor Grange Hotel, Wolfeton House, Worgret Manor Hotel, Wilton House,and Yarlington House. Dorset Wedding Photography - two photographers, two perspectives! Covering the areas of Blandford, Sturminster Newton, Shaftesbury, Gillingham, Sherborne, Yeovil, Stalbridge, Wareham, Wincanton, Bournemouth, and Poole. YOU HAVE ARRIVED AT THE HOMEPAGE OF WESSEXWEDDINGS.CO.UK FOR PROFESSIONAL PHOTOGRAPHERS PROVIDING QUALITY WEDDING PHOTOGRAPHY THROUGHOUT SOMERSET/ DORSET/ WILTSHIRE / HAMPSHIRE AND BEYOND. If you are interested in adding your link to links page please contact me, but bear in mind I get hundreds of requests and Wessex Weddings only accept quality, relevant links that are wedding or Wessex area related. 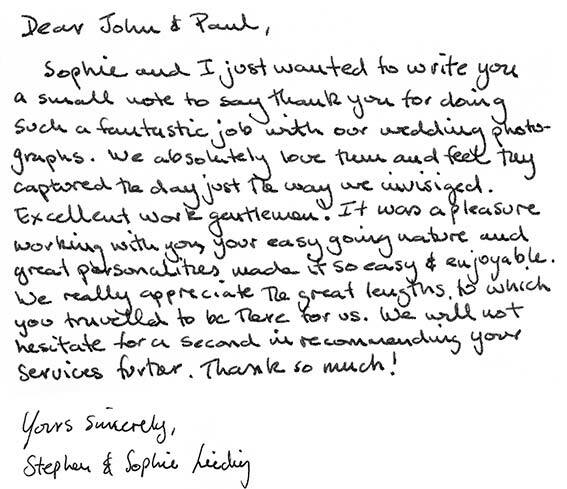 I am only interested in linking to quality and local wedding suppliers in Dorset, Somerset, & the southwest. My links are listed as a service to our visitors. We cannot take responsibility for their content or accuracy. Our details if you are interested in adding our wedding photography site to your links page. DESCRIPTION: Two photographer coverage based in Somerset / Dorset/Wiltshire borders offering both formal and fun, relaxed and humorous reportage wedding photography that captures your wedding story. Copyright © 2013 Paul Quayle.